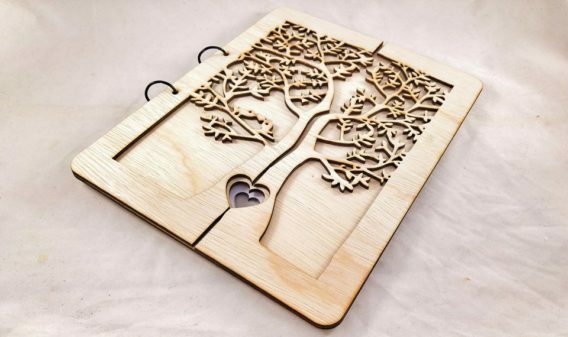 Layered Wooden Wedding Guest Book with a contemporary rustic design. The cover of the book constists of two wooden layers, a two part “tree of life” that forms the shape of a heart on its trunk when united, symbolizing the union of the couple and the love that binds them. 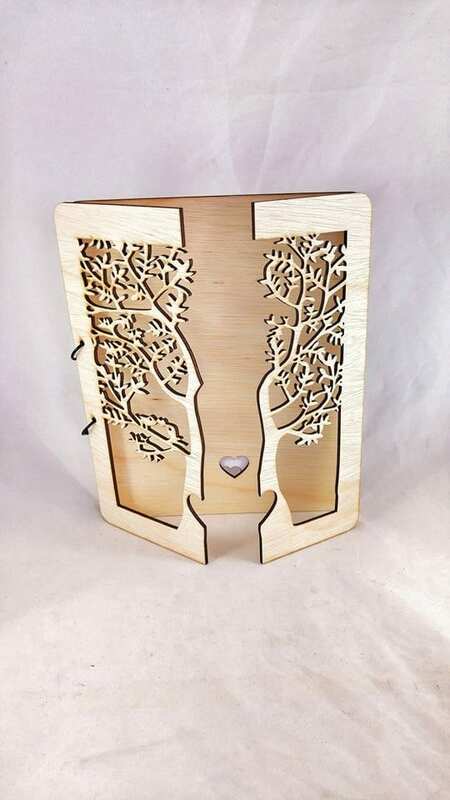 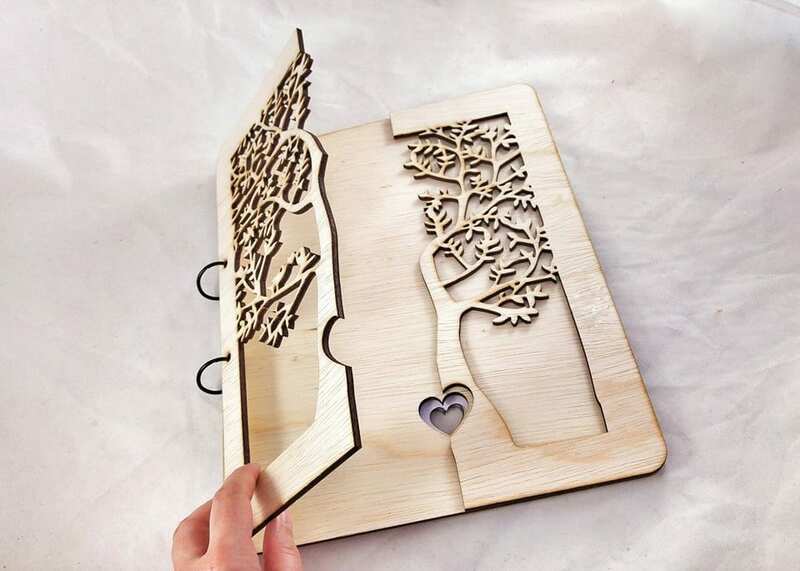 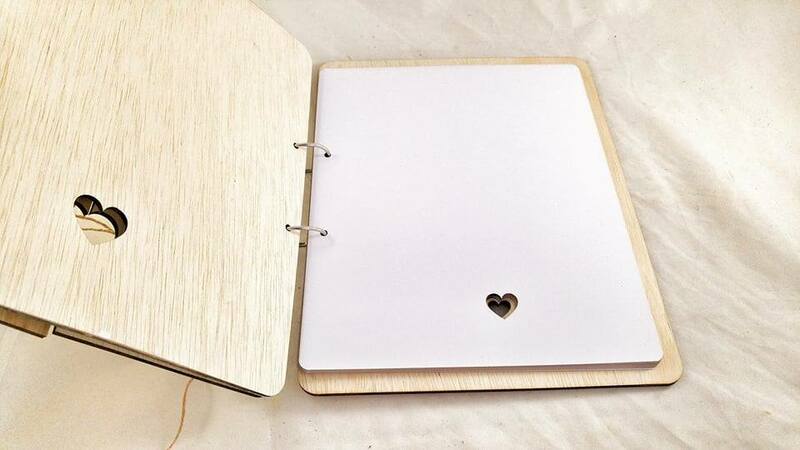 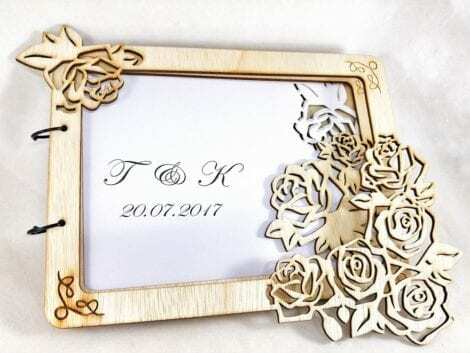 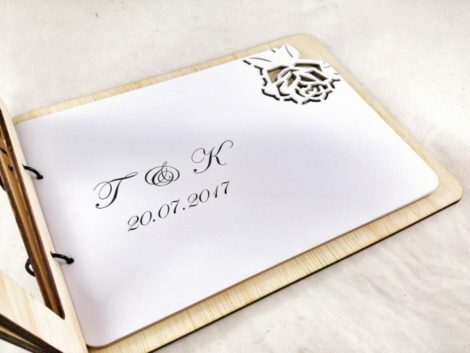 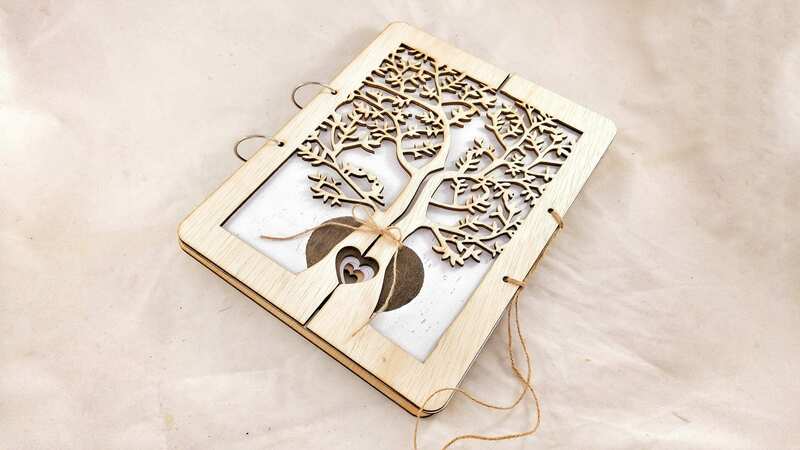 This uniquely designed wedding guest book contains 20 laser cut blank pages with a design of a heart.